Multidistrict (MDL) litigation established in order to consolidate all federal cases related to Xarelto has now progressed to the point where U.S. District Judge Eldon Fallon has chosen a series of four representative cases which will be heard in early 2017. The purpose of these so-called “bellwether” trials is to assist the parties and their respective counsel in assessing how juries are likely to react to testimony and other evidence almost certain to be common to many of the over 7,200 cases currently pending within the MDL. On August 12, Fallon revealed that the first of these cases will be that of plaintiff Joseph Boudreax and the second will be that of plaintiff Joseph Orr. 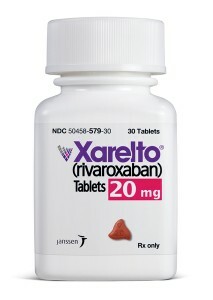 These cases will be heard in the U.S. District Court in Louisiana, the seat of the Xarelto MDL. Judge Fallon released the details of the final two bellwether cases on August 16. The case of plaintiff Dora Mingo will be heard in Mississippi and legal claims raised by the Estate of William Henry will be heard in Texas. Each of these matters involves new-generation blood thinning drug Xarelto (rivaroxaban), which reached the market in 2011 and was hailed as a breakthrough alternative to traditional anticoagulant warfarin. Since its introduction, however, Xarelto has been the subject of reports of serious and potentially fatal bleeding issues in patients who have taken the medication. Thousands of Xarelto lawsuits making these and other allegations about serious side effects were consolidated into an MDL in order to streamline discovery and pretrial processes and prevent inconsistent rulings in cases with common fact patterns and arguments. The lawsuits that have been centralized in the Xarelto MDL all include similar allegations, with many plaintiffs claiming that physicians and the public at large were not sufficiently warned by the drug’s manufacturer about known bleeding risks. The fact that no antidote existed for Xarelto that was able to quickly reverse its effects, in contrast to warfarin, has also been raised as an unreasonable danger that was not made plain to prescribing doctors. Though these initial four bellwether cases certainly have an important role to play in the Xarelto MDL, their outcomes will not be binding on any other plaintiff in the litigation. The parties will carefully observe what happens in these cases, however, and the response of juries to the evidence presented by each side may encourage settlement negotiations leading to a global resolution of thousands of other cases yet to reach the trial stage. If these bellwether trials do not appear likely to spark widespread settlement of claims, a large number of cases may be sent back to their originating courts so they can be heard there. Another next-generation anticoagulant, Pradaxa, was the subject of its own expansive litigation which involved similar bleeding and side effect claims as those being raised by Xarelto plaintiffs. Over 4,000 cases made their way into the courts, eventually resulting in the drug maker agreeing to settlement payments of $650 million. Whether or not the Xarelto litigation will produce a comparable outcome for its plaintiff pool remains to be seen.